THE CARIBBEAN Actuarial Association (CAA) has announced that the Hon. Daisy May McFARLANE-COKE, O.J., C.D., B.A., M.A., Cert. in Stat., F.I.A., A.S.A. the Founding President of the CAA, has won the 2018 Max Lander Award against strong competition from several candidates in the international space. This prestigious award, granted only every two years by the International Association of Consulting Actuaries (IACA), is a “Consulting Actuary Lifetime Achievement Award” given to a member of the actuarial profession who has contributed to the public awareness of the work of the actuarial profession and the promotion of the business of consulting actuaries. 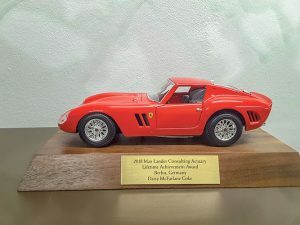 This award is named in honour of the late Max Lander who was a founding member of IACA. Daisy is the seventh winner of this award, first time to a woman and the first time the recipient is outside of North America and Western Europe. The announcement was made during IACA’s Jubilee celebrations launched at the recent International Congress of Actuaries in Berlin, Germany. In 1997 Daisy received the President’s Award from North America’s Society of Actuaries for her many years of contribution to the profession. Coke’s many achievements would be stellar in any generation. 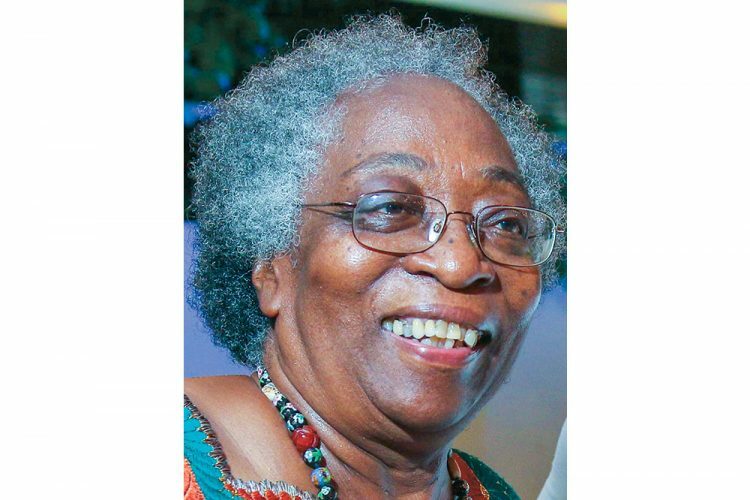 Her pioneering work as a Jamaican actuary, who qualified in 1970, led the way for several actuaries to follow. Some 48 years later there are 15 qualified actuaries practising in Jamaica and another 12 overseas whom she has impacted in their career choice and development. She stands as a role model of what a young girl from the country can achieve with the combination of a brilliant mind, supportive parents, kind teachers, spoiling brothers and scholarship funding. She always reminds her colleagues that she was first introduced to the profession by an advertisement by the Jamaican Government for someone to accept a scholarship to go to England to be trained with the object of returning to work in Jamaica. Daisy took an active part in international actuarial development, and contributed to the deliberations of the International Actuarial Association. In 1988, whilst attending the International Congress of Actuaries in Helsinki, Daisy and three other delegates from the Caribbean decided to form a regional actuarial association. With her usual drive and determination, Daisy presided over the birth of the Caribbean Actuarial Association three years later in 1991. She then served as President of the CAA for its first six years. She was also a charter member of the International Association of Black Actuaries in the USA and contributed towards its formation in 1992. After receiving a First-Class Degree from UWI in 1959 followed by a Master’s Degree in Applied Mathematics from the University of Toronto in 1962, Mrs. McFarlane-Coke was awarded a scholarship by Jamaica’s Ministry of Finance to study Actuarial Science in the U.K. She read Statistics at Oxford University and started her actuarial career on secondment to the UK Government Actuary’s Department in London. While there she saw first-hand the contribution that actuaries can make to the public policy and vowed to put this into effect upon her return home to become Jamaica’s first Government Actuary. She entered the private sector in 1972 and started her own firm in 1977 but during this time continued to serve the public interest. She was appointed a member of the Judicial Service Commission and the Public Service Commission, having chaired the latter for nineteen years. She served on a number of boards of enquiry and expert committees/task forces dealing with Pension Reform, Financing Public Sector Pensions, Public Health Financing, Independence of the Bank of Jamaica, the National Insurance Fund, the Overseas Examination Council, the Statistical Institute of Jamaica, the Council of the University of the West Indies as well as director of several statutory bodies and private companies. Daisy’s technical actuarial skills combined with vision, superior analytical powers to identify the fundamental problems, instinctive business acumen and ability to add useful information for better decision making made her an invaluable member of all the teams who embraced her. She was Founding President of the Caribbean Actuarial Association (CAA), which now has a strong membership of over 200 practising both regionally and internationally. Since Daisy was unable to travel to Berlin to accept the Award it will be presented to her at the CAA’s Annual Conference to be held in Kingston, Jamaica 28-30 November, 2018. IACA’s 50th Anniversary celebrations will make a Kingston stop on its worldwide tour.